Here we look at the sort of experimental data provided by a JKR experiment, and how it depends on the surface energy, γ. Just slide the γ slider and see how the contact widths and the negative pull-off force change. If we have pure surface adhesion, that's the end of our JKR work. But this is all a prelude to real adhesion in the next app! The diagrams illustrating the Hertz and JKR contacts give a feel for what is going on. The more conventional way to look at the situation is via graphs showing the contact width a versus the force F. Although it is unusual to see the Hertz and JKR plots on the same graph it is a useful way to look at what is happening. Once again, R and E are the values used in the previous models and the force is plotted from -10 to 50mN. This time you get to vary the surface energy, γ from 0 (i.e. pure Hertz) to 60 (a large value for most practical surfaces) where the values are in dyne/cm or (the same thing) mN/m. Clearly, the higher the surface energy the bigger the difference from the Hertz case, the bigger the contact area at zero force and the more negative the force required to separate the surfaces. That's about all that is worth discussing about pure surface energy adhesion. It is 1000x too small to be of significance in most adhesion situations. 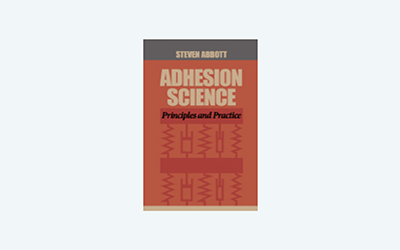 For real adhesion we have to start looking elsewhere.